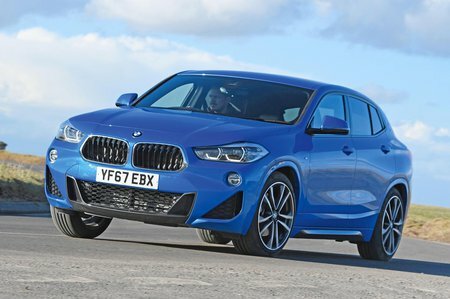 BMW X2 sDrive 18d Sport 5dr 2019 Review | What Car? What Car? will save you at least £1,799, but our approved dealers could save you even more. Classy interior and tidy handling add to the X2’s appeal, but a firm ride and compromised practicality detract from the overall package it offers. Slightly restricted space and practicality leaves it as more of a pumped-up hatchback rather than a practical family SUV. Ultimately the Volvo XC40 is still the king of the class while if you want a BMW, the more practical X1 is a better bet. Sport trim is worth considering if you’re likely to add bigger wheels; it gets 18in alloys with front sports seats, plus contrast stitching on the dashboard, LED headlights, ambient LED lighting inside and body-coloured roof trims for not a lot of extra cash.